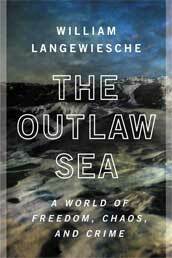 The Outlaw Sea: A World of Freedom, Chaos, and Crime, William Langewiesche, North Point Press. In the 1974 ballad “A Pirate Looks at Forty” singer-songwriter Jimmy Buffett laments: “Yes, I am a pirate, two hundred years too late; the cannons don’t thunder, there’s nothing to plunder; I’m an over-forty victim of fate, arriving too late….” If William Langewiesche’s latest book is any indication Buffett need fret no more. According to Langewiesche—a national correspondent for The Atlantic Monthly who specializes in the seafaring world—piracy has made a dramatic comeback. This is just one of the surprising revelations in “The Outlaw Sea,” a work filled with understated, yet always compelling accounts of storms, shipwrecks and oil spills, not to mention the exploits of ruthless modern-day pirates. While the disasters Langewiesche recounts are sure to capture the reader’s attention, the author’s underlying message—that free enterprise combined with a deliberate absence of controls has resulted in a state of anarchy on the high seas—is no less interesting. It seems industrialized nations consider maritime safety and security to be important, at least until the cost of oversight raises the cost of doing business. In the end, the health of financial markets is more important than the integrity of the environment, the lives of hard-luck seamen, or the security of the world’s ports. Perhaps this condition will change when terrorists exploit the lawless nature of the shipping business to stage a major attack that sends shock waves through the global economy. In the meantime, “The Outlaw Sea” provides rare insight into a world that landlubbers rarely stop to consider. The Gathering Wind—Hurricane Sandy, the Sailing Ship Bounty, and a Courageous Rescue at Sea, Gregory A. Freeman, NAL. New York City Museum of Complaint—Matthew Bakkom (editor), Municipal Collection, Steidl-Miles. 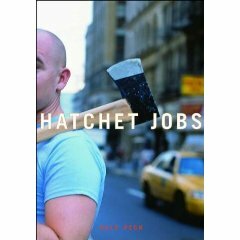 Destructive Criticism—Hatchet Jobs: Writings on Contemporary Fiction, Dale Peck, The New Press. Why Government Fails So Often—And How It Can Do Better, Peter H. Schuck, Princeton University Press.